I am very proud to say we’ve won the High Street Retailer Award at the Greenwich Business Awards! Thank you so much for all of you that have voted! Its a great way to celebrate our 10th year in business. Who knew that a little salon started in 2009 would still be here today and we wouldn’t be where we are without the support from our lovely clients and the community! Why not kick the off the New Year in style with some of our amazing January offers! Check out our offers page! 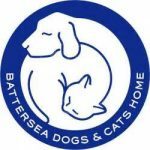 June marks the start of our Charity event! Nominate a stylist by donating £1 (or more) and choose a crazy colour for them to have their hair dyed. 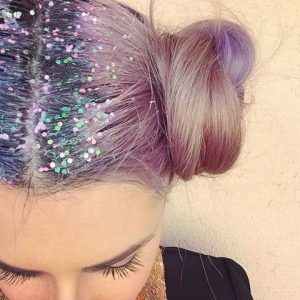 The stylist who has raised the most money DYES their hair in your choice of colour. Voters enter a prize draw for a free cut and blowdry. 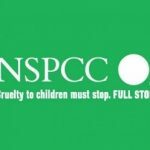 All money raised will be donated to the WINNING stylist’s chosen charity! Our Braid Bar is back! 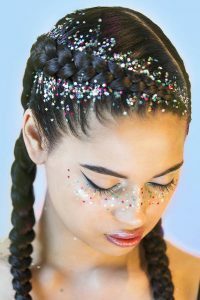 Following the success of the Braid & Glitter bar last year, it is now back for June and July Festival season! Prices start from £5. Call to book now! Following customer requests we are now open on Sundays between 10am-4pm! We are now Stocking Evo hair care products! 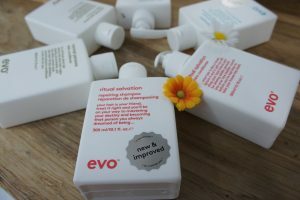 The newest addition to our salon retail shelf is Evo! Originating in Australia, Evo are a great brand offering ethical, products which give professional results. Evo products are kind to the environment as well as kind to your hair, as they are sulphate, paraben, dea, tea and propylene glycol free. Pop in and see us for further information on this great range of haircare!